On 19 September, Thailand's ambassador Chalit Manityakul, accompanied by his first Secretary Chettida Kitchaiwat met with Sikkim's Chief Minister Pawan Chamling at his official residence Mintokgang. During the interaction on 19 September, Ambassador Manityakul informed Chamling that the purpose of his visit was to enhance the already cordial relations between Thailand and the Indian state of Sikkim, a state government press release said today. The Ambassador also discussed opportunities through which bilateral relations between Thailand and Sikkim could be further enhanced through trade and investments. Manityakul was all praise for Sikkim and was particularly vocal about the cleanliness of the state and its scenic beauty. On the other hand, Chief Minister Chamling informed the Ambassador that though Sikkim is a small state, it's beautiful and is the safest state in the country. 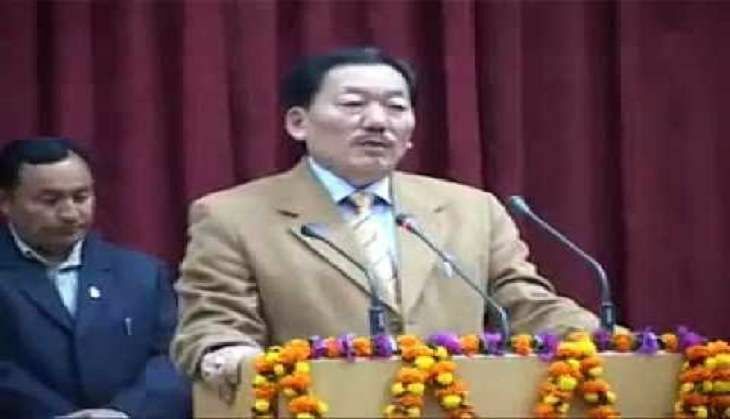 Talking about the investments, Chamling informed the Ambassador that Sikkim will welcome investment in agro-based industry and in tourism sector. During the short interaction Manityakul too felt that Sikkim has tremendous potential in the tourism sector and drew comparison with Thailand when it comes to pilgrimage tourism, especially Buddhism. Minister Tourism, Government of Sikkim, Ugen T Gyatso and the Secretary, C Zangpo were also present during the meeting.